Back to Wild West Mine Train! I had a hard time believing this coaster is from 1999, as it still runs quite well. It is not the smoothest but has some intense forces going on. It is challenging to photograph the first elements on the ride. 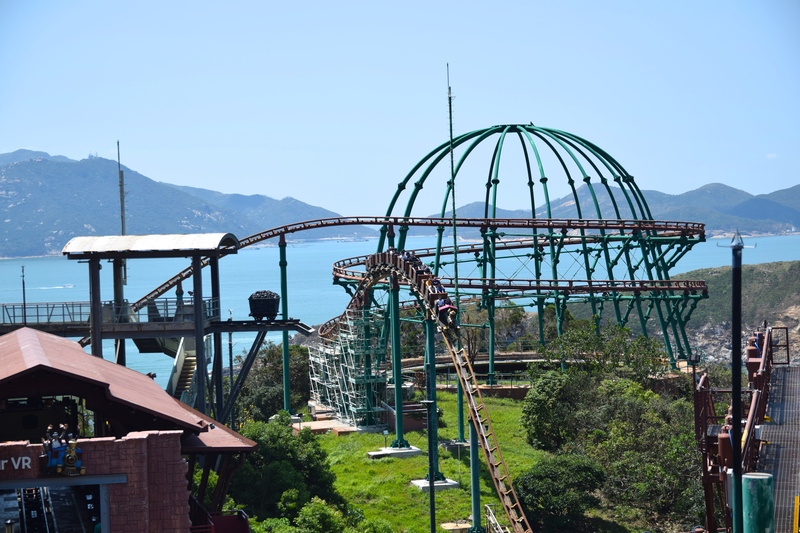 The ride starts with a turn off the lift into a nice turn that offers amazing views of the ocean, and then a steep first drop. 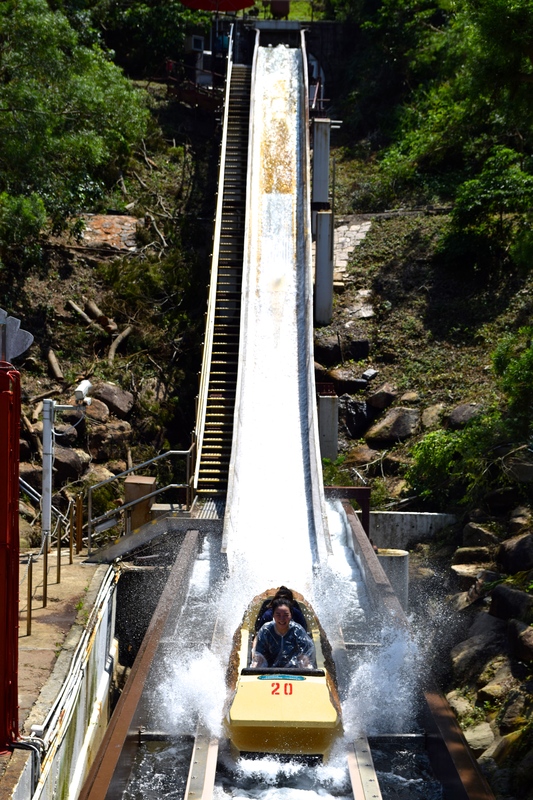 You actually catch some serious airtime on that drop. The trains then wobble into the long helix. The helix is followed by another great moment of airtime down another significant drop. The most terrifying moment is when the train comes into the mid-course brake run. It has a ton of speed coming in and the front row experiences shaky airtime. Awesome moment. 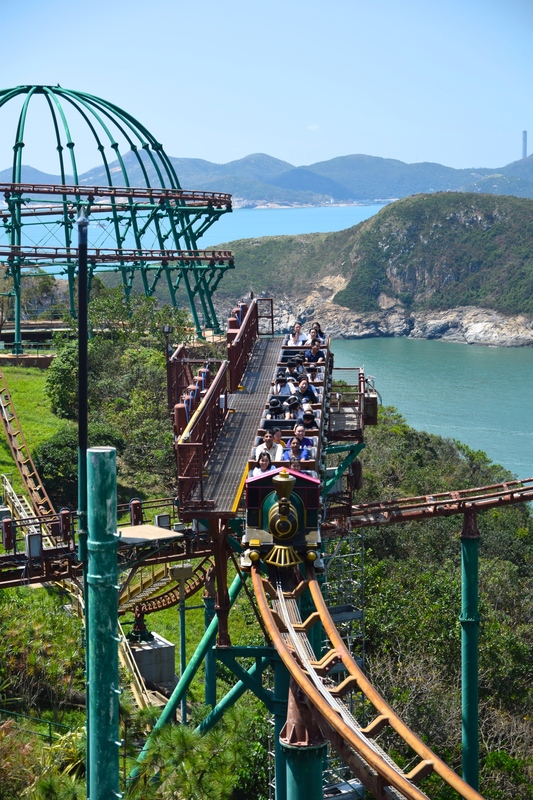 After the mid-course brake run the trains swoops down one more time for a scenic drop towards the water before returning to the station. 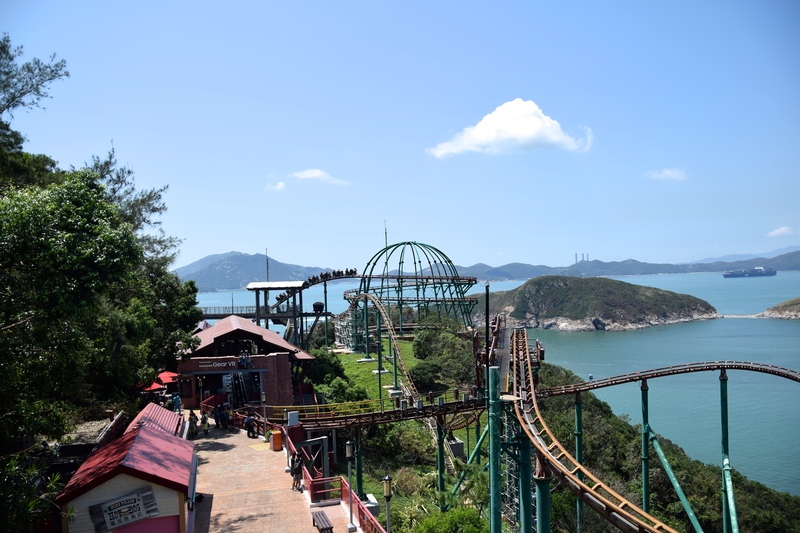 Moments like these on The Dragon and Wild West Mine Train are the reasons that Ocean Park is the world’s most scenic theme park. Every second exploring this park is just breathtaking. Time to say goodbye to Adventureland, Wild West Mine Train and Raging Rivers, and make our way to the top of the Summit. 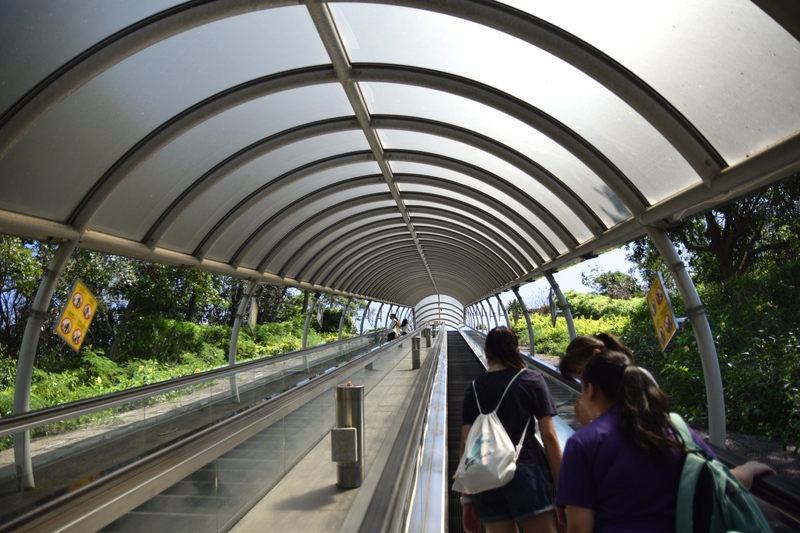 I thought that Universal Studios Hollywood’s Starway was impressive, but the escalators at Ocean Park are so much taller and grander, these things will be your best option to get back to the Summit. On the top of the summit you have Pacific Pier, Rainforest, Polar Adventure, Marine World and Thrill Mountain. 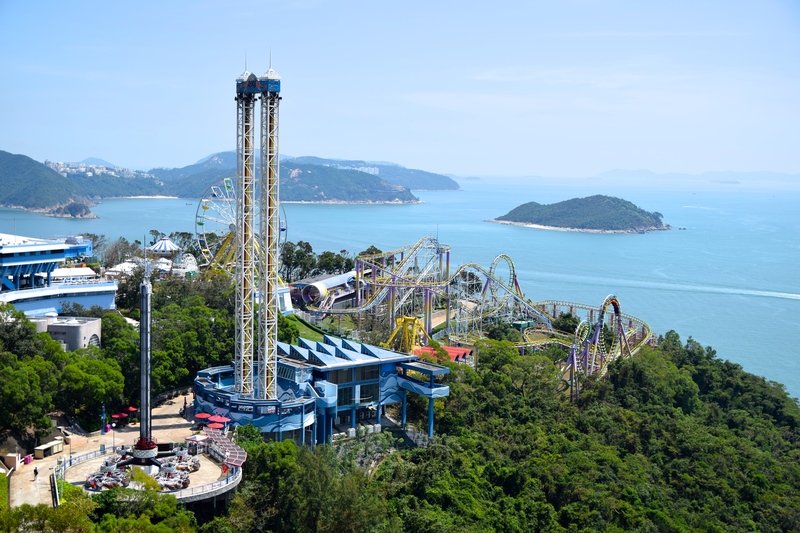 Thrill Mountain, Polar Adventure and the Rainforest were all added after Hong Kong Disneyland opened and offer a wide variety of rides and attractions. 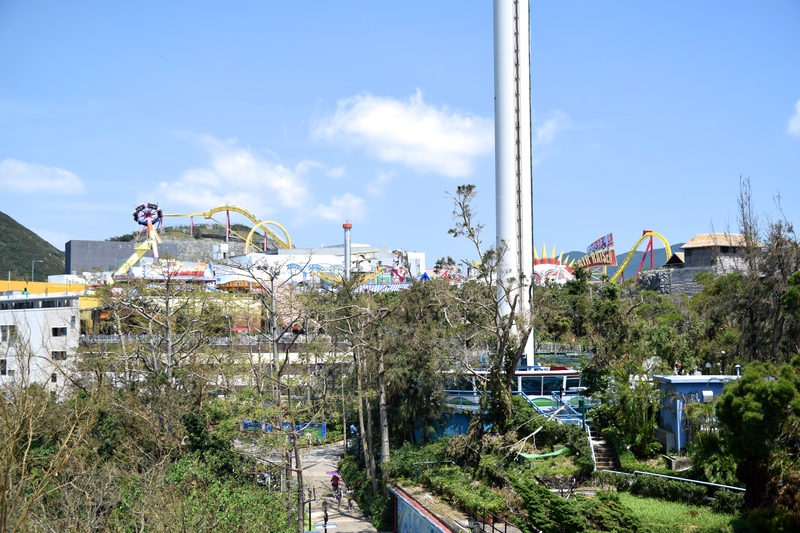 The original Marine World section of the park features the park’s Condor, S&S towers, The Dragon, exhibits, flat rides and the dolphin stadium. We were excited to check out the Rainforest section of the park, which is home to the park’s new rapids ride: The Rapids. This rapids ride is much like most of the Intamin rapids rides, not too intense. 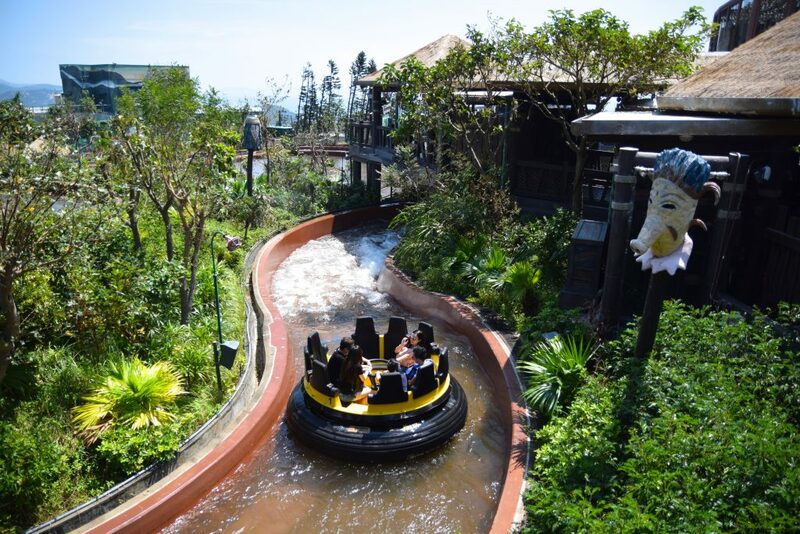 Instead of adding rapids, they chose to stick with misters and water effects that would create a rainforest environment. 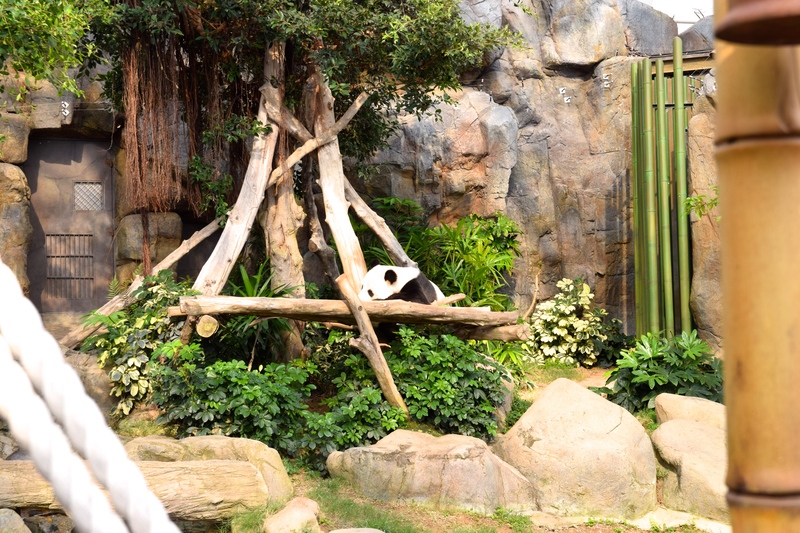 The ride has some fun landscaping and is well integrated with surrounding structures and animal exhibits. Definitely a surprise! 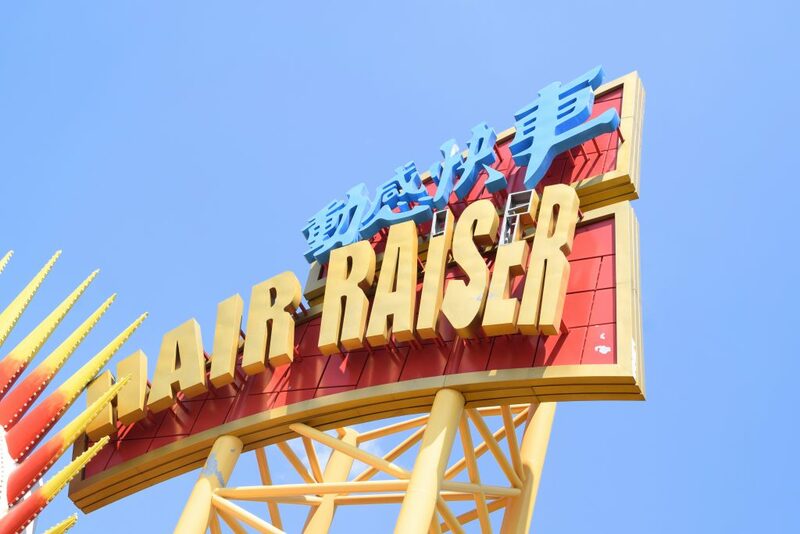 Hair Raiser‘s sign was damaged, so instead we just enjoyed looking at one of the most compact B&Ms around. We did get to ride Arctic Blast, the park’s powered coaster right next door which was quite fun actually. As part of the Polar Adventure themed area there are several exhibits. Appropriately divided into South Pole and North Pole. 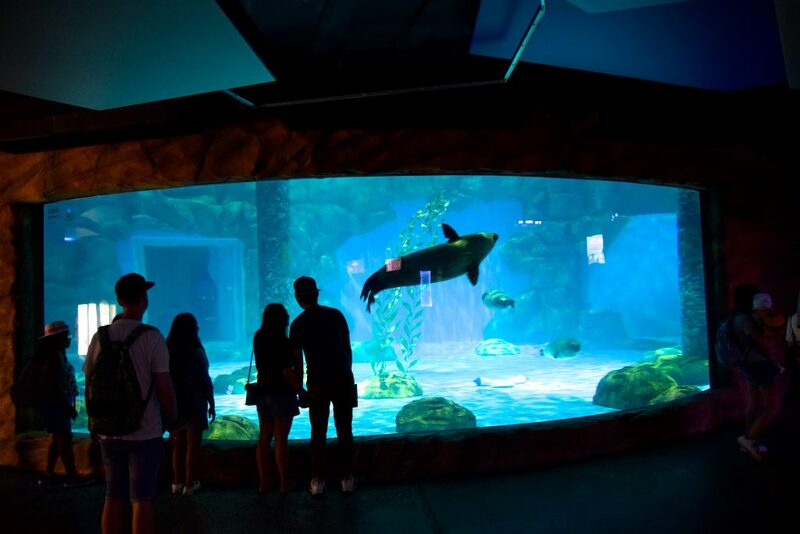 The North Pole exhibit featured walruses and seals in a large aquarium. These little under water torpedos are so adorable! 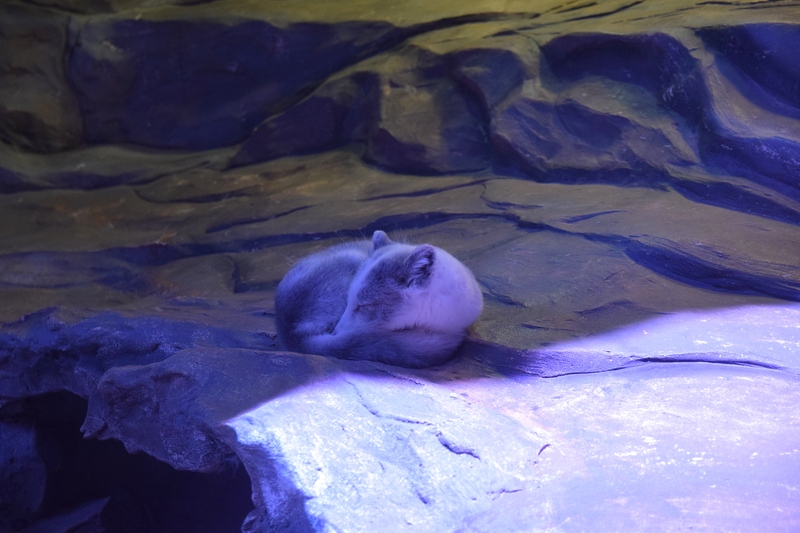 On the other side of the gift store there was also a small arctic fox exhibit with small puppies. 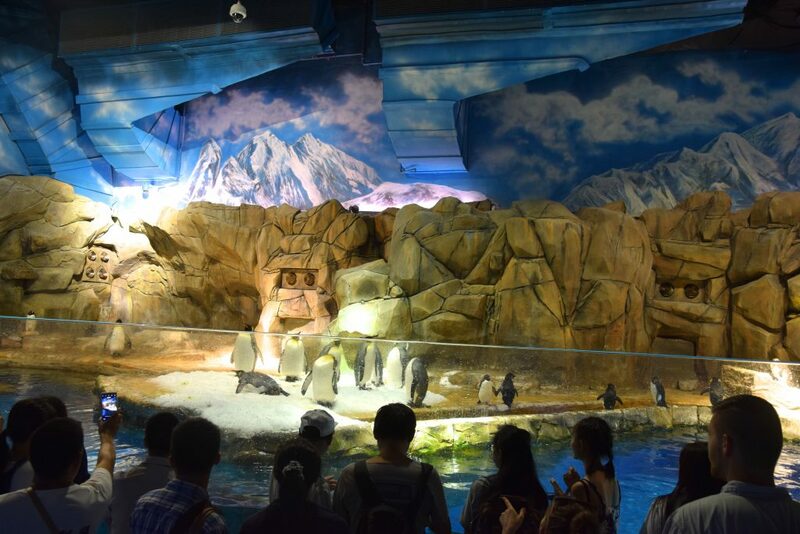 The South Pole exhibit was home to a collection of penguins. The themed area is really only a plaza, but with dining, shopping, a roller coaster and two major animal exhibits it was quite impressive. 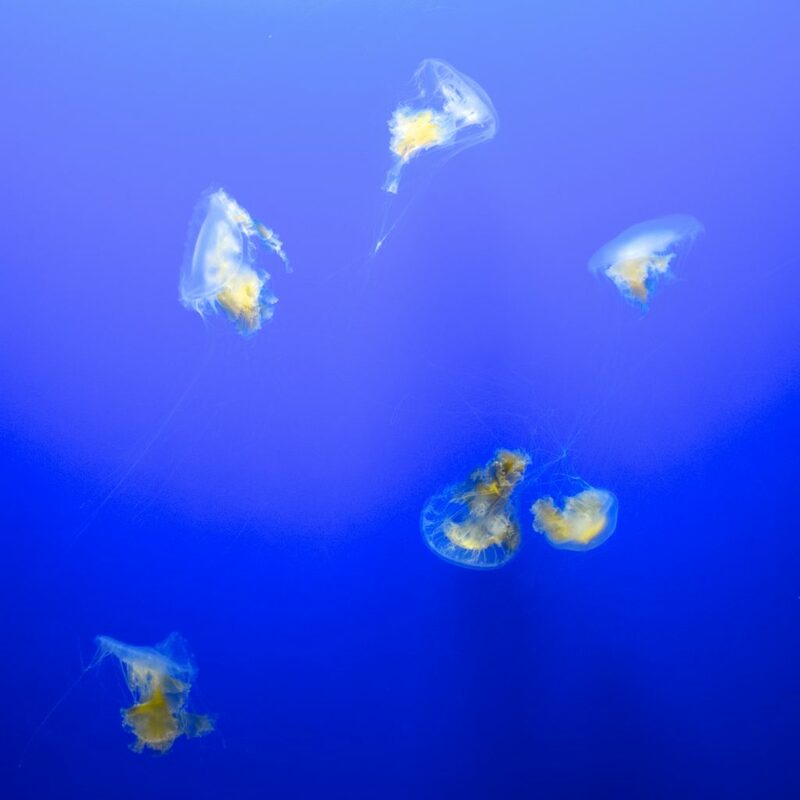 Next we made our way down to the Marine World section of the park again for an exhibit we were all very interested in seeing, which was the Sea Jelly Spectacular. 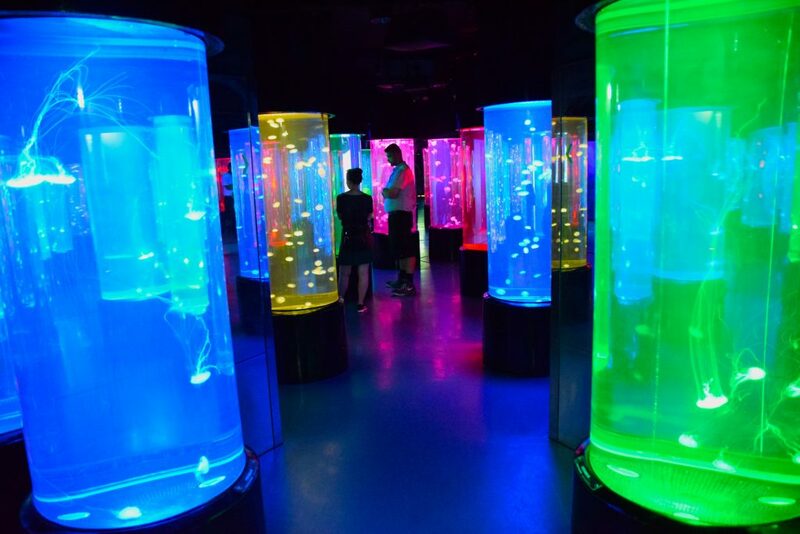 One of the park’s newer exhibits. The exhibit featured several high-tech displays and many different kinds of jellyfish. 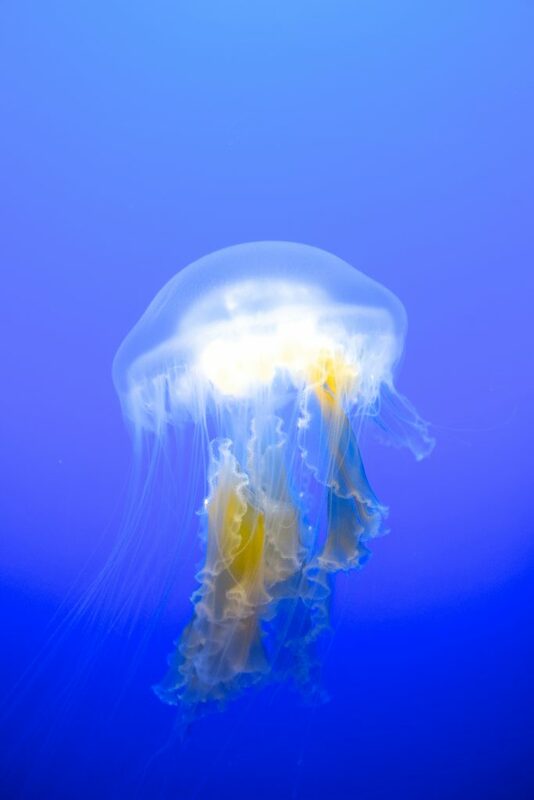 It’s interesting that many marine parks and aquariums around the world are starting to create these jellyfish experiences. 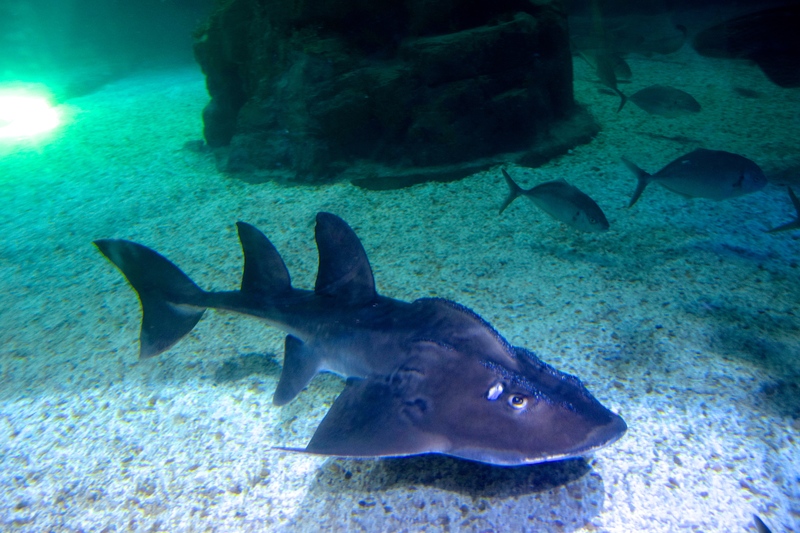 Next up… SHARKS! And one of the most impressive shark exhibits I’ve seen. Our arrival timing was solid, the sharks and other fish were just getting fed. It was a wild spectacle, as if we were in a splash zone. 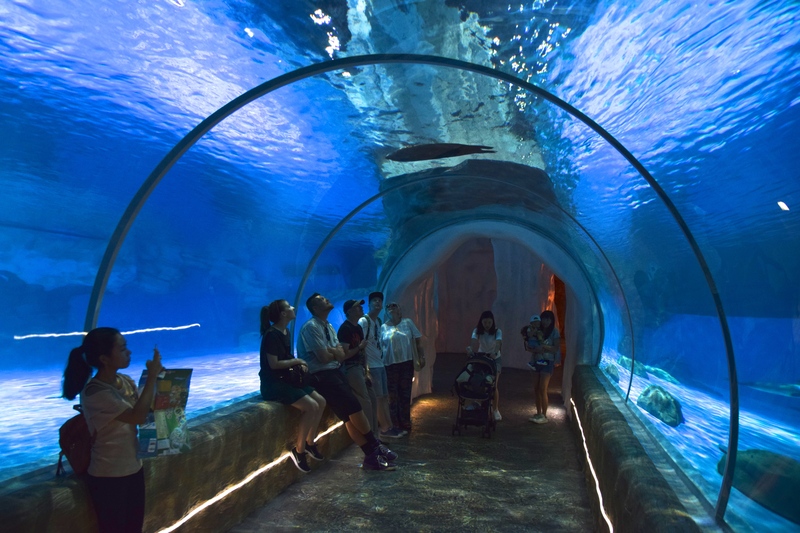 The outer walls of the exhibit featured all sorts of tropical fish, while the center if the aquarium (as seen above) was the large shark tank. 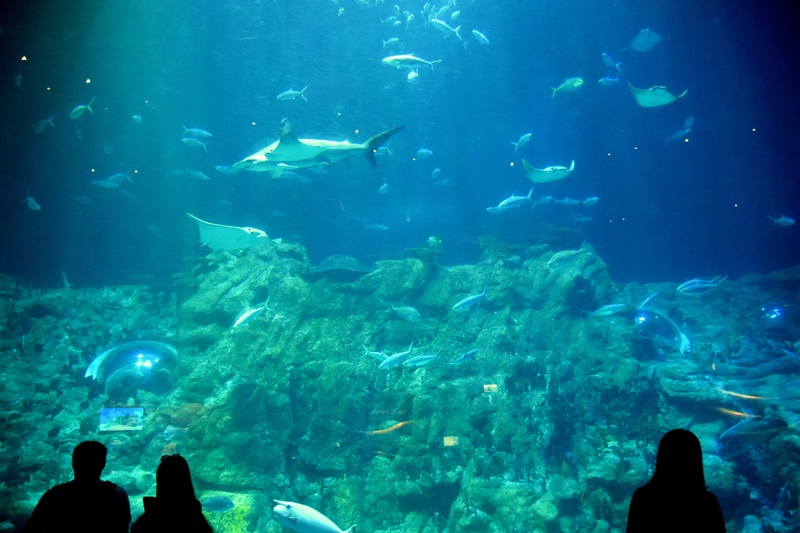 The shark tank was three stories tall and had some of the most impressive landscaping and shark collections we’d ever seen. We spent a good 45 minutes inside. 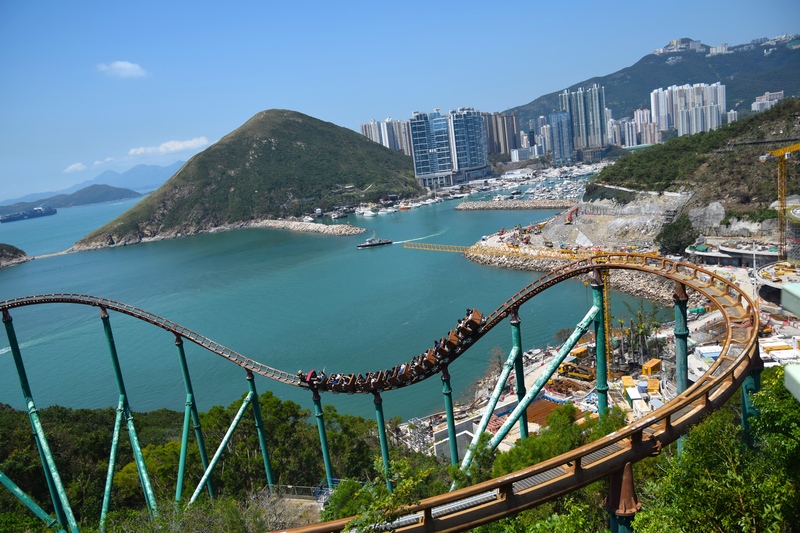 The park did a fascinating job with educating, particularly against shark fin consumption, which is still much of a problem. The exit to the exhibit featured games that would educate on shark finning. I was very impressed. After riding The Dragon and the Eagle again we made our way back down through the mountain to the front of the park. Now it was time for a very Asian-bucket list experience… GIANT PANDAS! 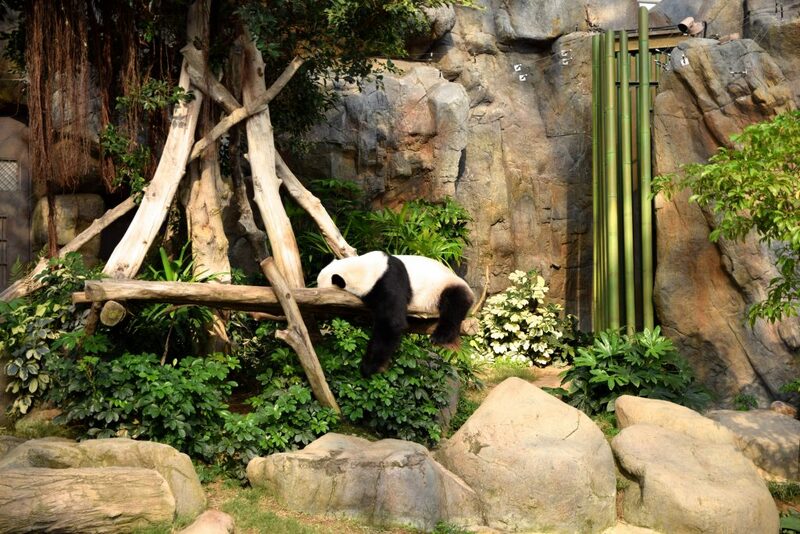 Ocean Park is home to three giant pandas. They don’t move very much, but the park has some fantastically passionate guides that will tell you all about them! 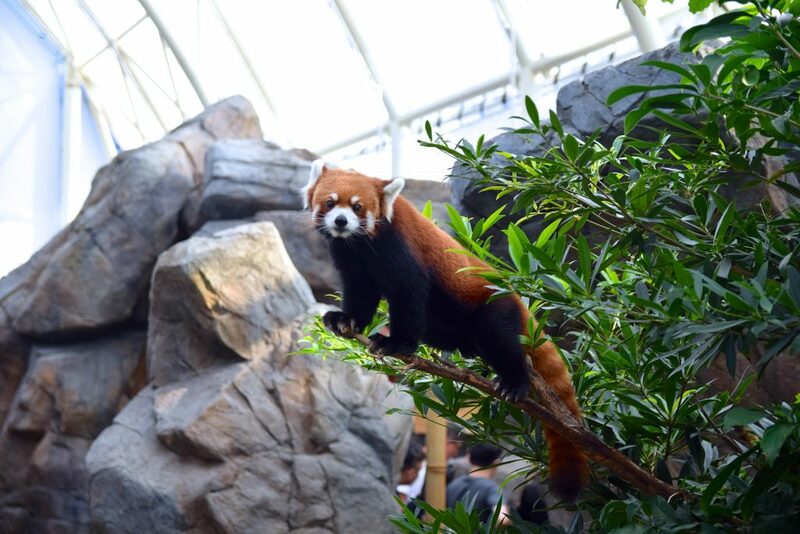 Much more active and equally as cute are the red pandas that made plenty of appearances. 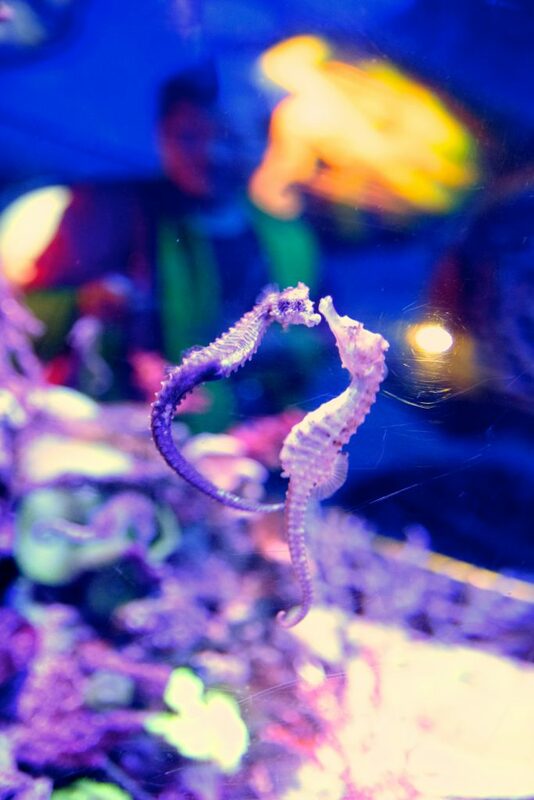 These can be found in the same exhibit as the giant pandas. The front of the park is home to several exhibits, make sure you check those out as well. 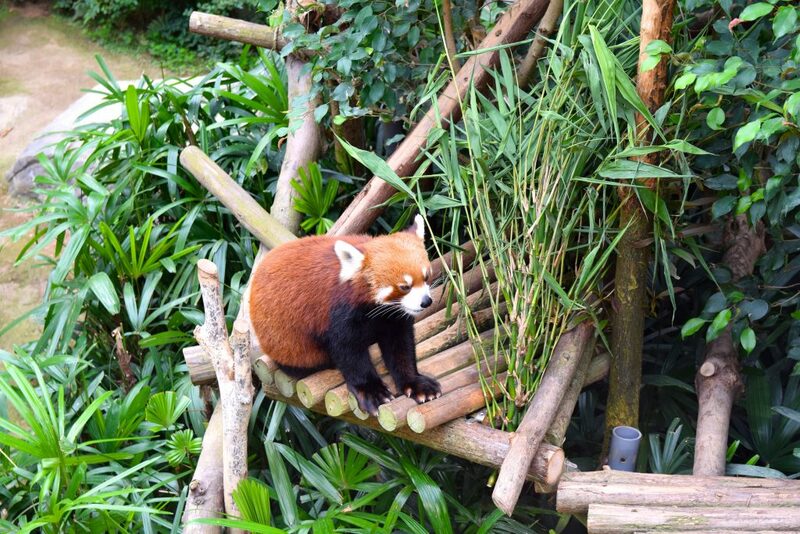 I would advise spending your last hour or so at the front of the park to check out the red pandas for example. 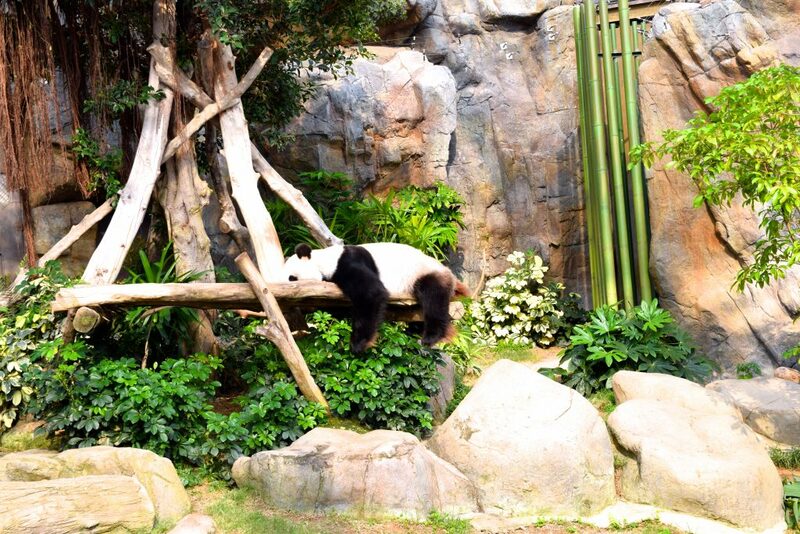 As well as the giant pandas. Even when they’re sleeping they’re adorable. On your way out of the exhibit there are otters, also super adorable of course. 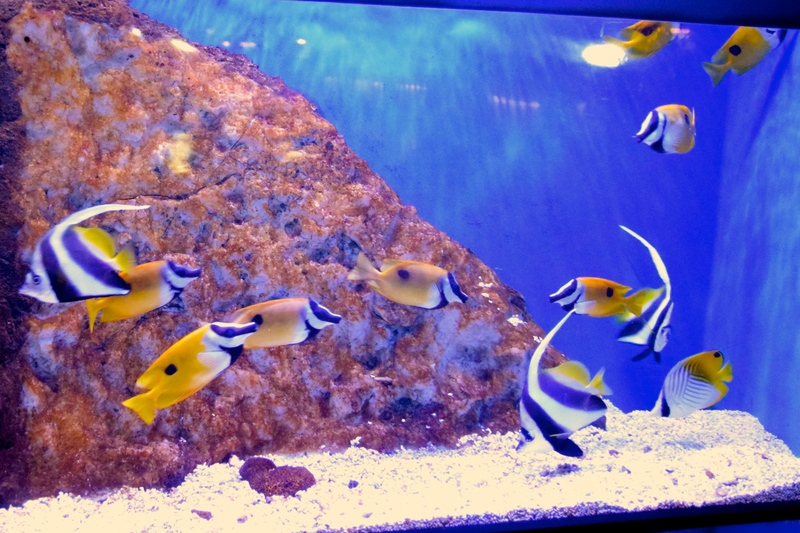 Unique to Ocean Park is a gold fish aquarium with lots of different kinds of goldfish. I didn’t even know this many types of goldfish existed. 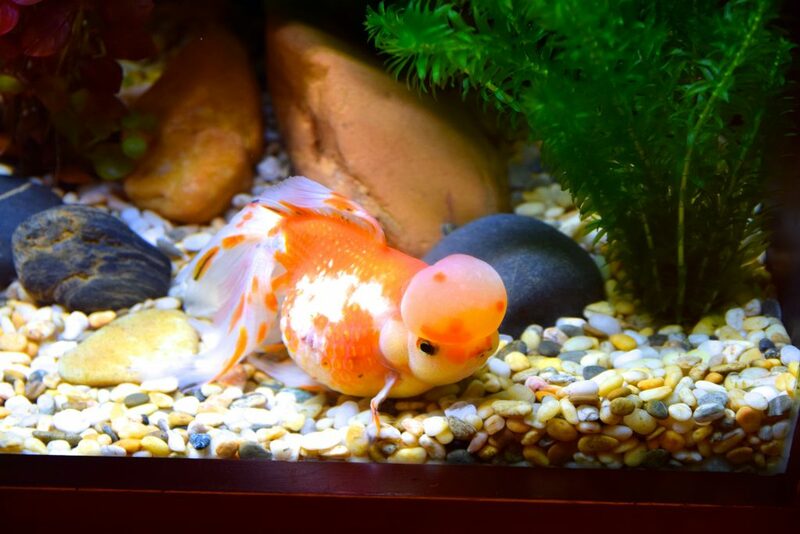 This little guy/girl is what I call a goldbeluga. The exhibit takes place both indoor and outdoor. 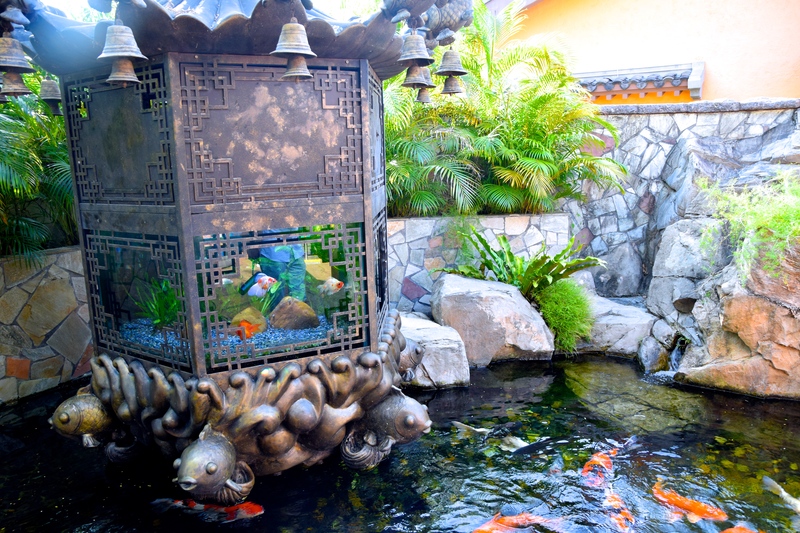 Here’s the koi pond! We decided to finish our day at the park’s main aquarium, “The Grand Aquarium”. 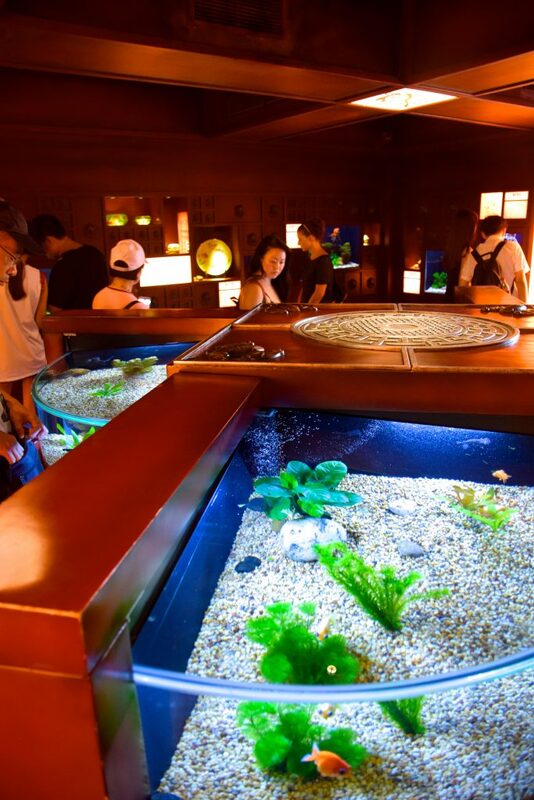 This aquarium was built in competition with Hong Kong Disneyland, but unfortunately felt rushed. 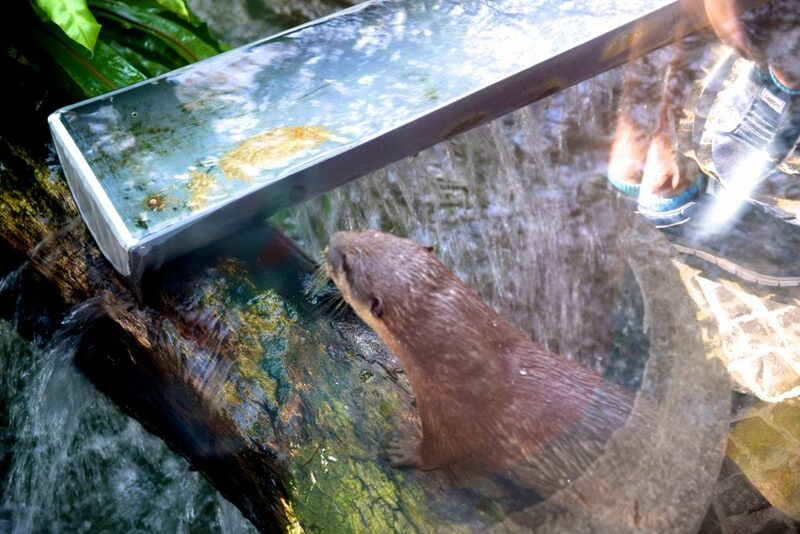 The aquarium was much less impressive than the rest of the park’s exhibits. The aquarium was large but featured too much “dead space”. There just wasn’t a whole lot going on. It’s quite unfortunate as the park has a giant queue house for it, even sells fast passes for the aquarium and it must have been my least favorite attraction at the park. 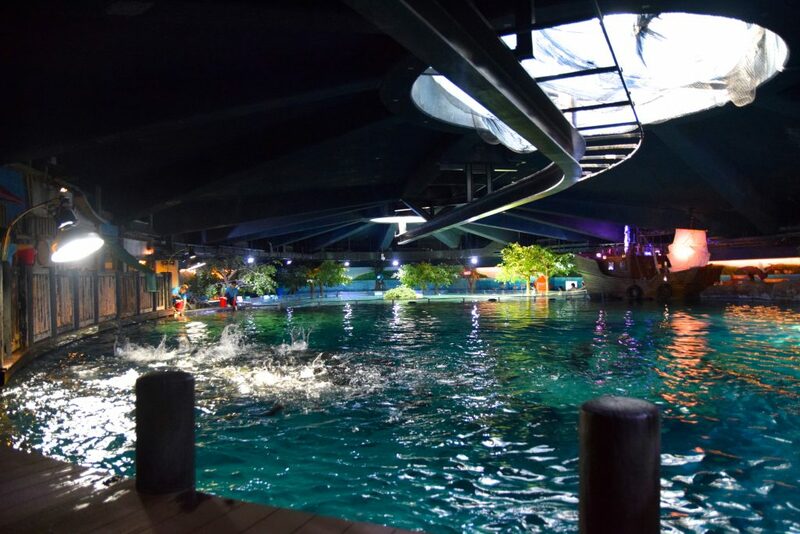 I suppose there is no better way to finish your day at Ocean Park than doing something ocean related and visiting their Grand Aquarium. When you visit, don’t prioritize this. Prioritize all the other amazing offerings this park has. Enjoy the views, enjoy the scenery, enjoy the amazing collection of rides and exhibits. 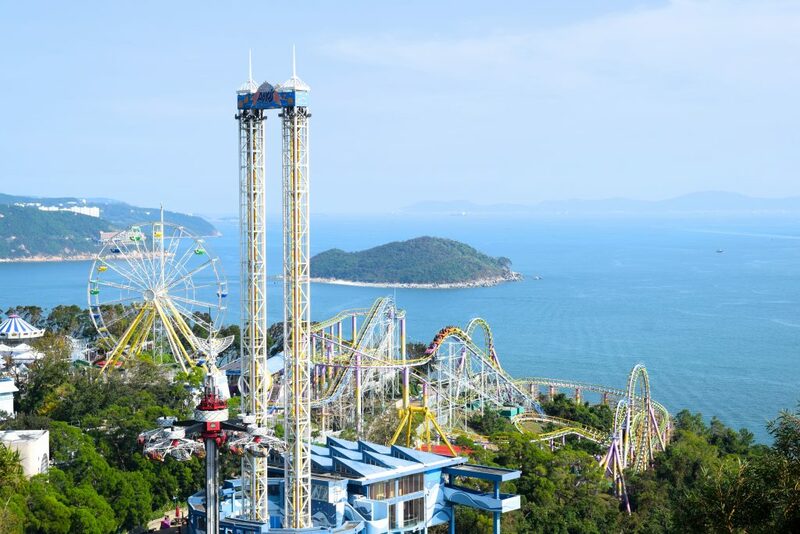 Ocean Park is one of the biggest and most scenic theme parks in the world. We had a great time and will return in the future! 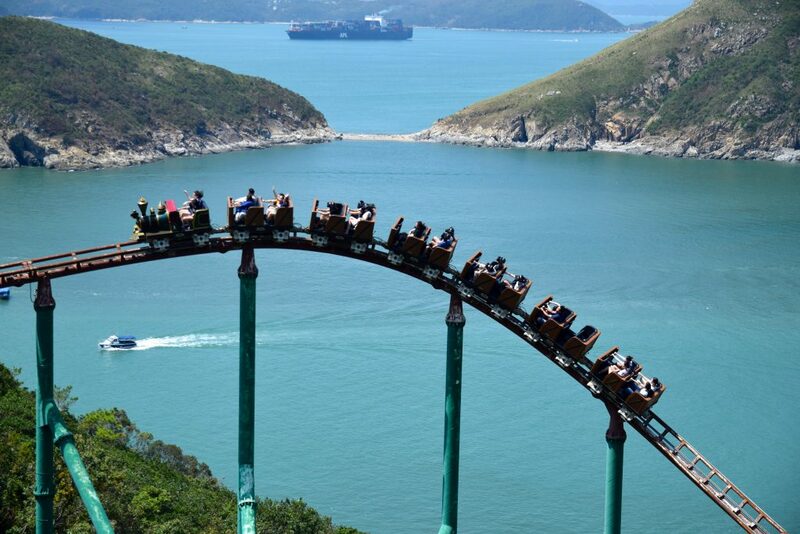 Thank you for checking out this Ocean Park Hong Kong report! 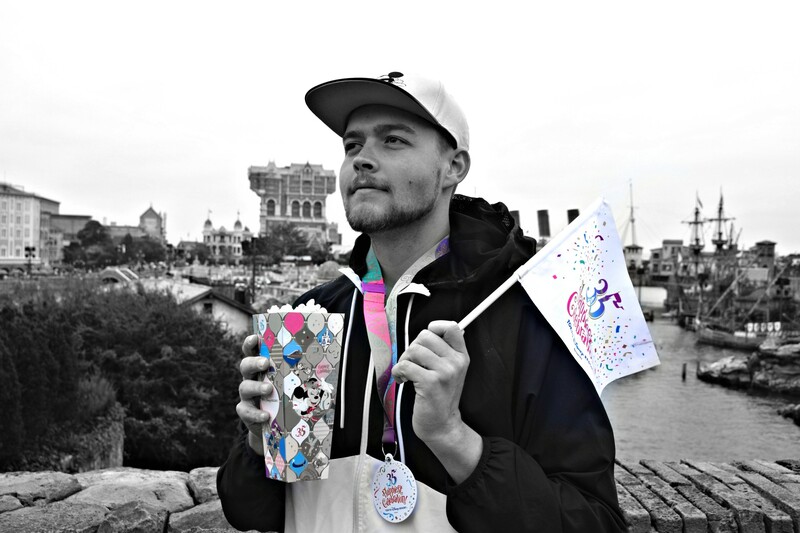 We’ll be back with about 20 more Asian theme parks to talk about, stay tuned! 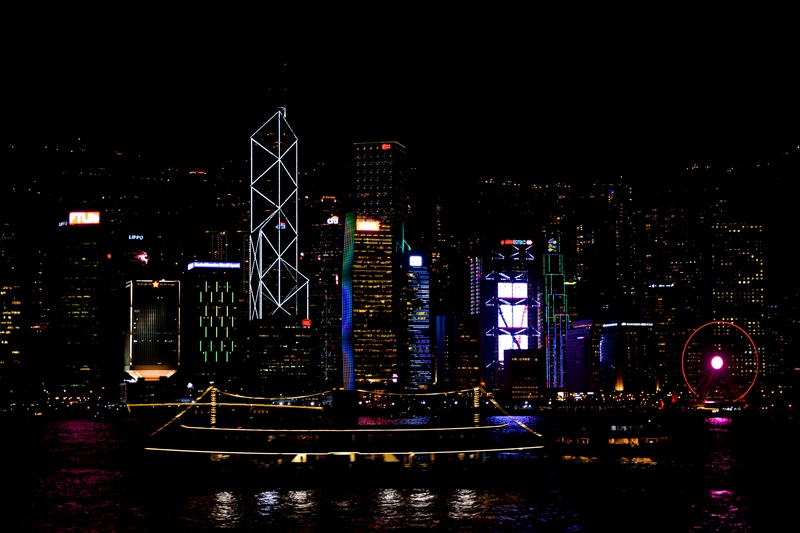 For now, I’ll leave a picture of wonderful downtown Hong Kong for you to enjoy! Next PostNext Review: Horrorland Scream Park!